I was recently loaned a set of Jabra Sports Wireless+ for a quick review. Retailing for RM499, this is an integrated handfree, earphone and FM receiver all rolled into one unit suitable to be used as a handsfree, for exercising and sports. I have not had any experiences with Jabra's product and this is absolute first. 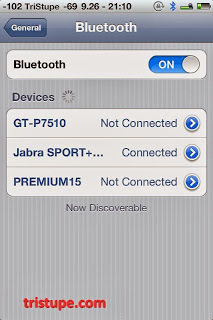 I have not used Bluetooth devices as I find them to drain out my device battery too fast. Changes and improvement to battery life (devices and Bluetooth) has made it possible for some of these devices to resume normal and acceptable working hours/time before requiring the next charging. Jabra with it's claimed 4hours of usage on music alone and 4.5hours of talk time is a good example of such improvement. The unit comes with a 5-days standby time. That is a long time for a devices that transmit/recieve Bluetooth signal. Standard with the package is the Jabra Sports Wireless+ unit, 6-different type of fitting (rubberised/silicon) to suit all sort of ears, even if your left and right differs. An armband to store your device, a Fit-clip or what I would call a cable manager/shrinker to lock the cable in place behind your neck, a USB charger - which is actually just a cable and a quick start guide in multi-language. Extra that comes with this is a 3-months Premium coupon to be used for Endomondo. If you are a fan of this apps and use it for your exercise, you get some value for your purchase as the retail price for this 3-months pass is about RM40 or USD11.97. 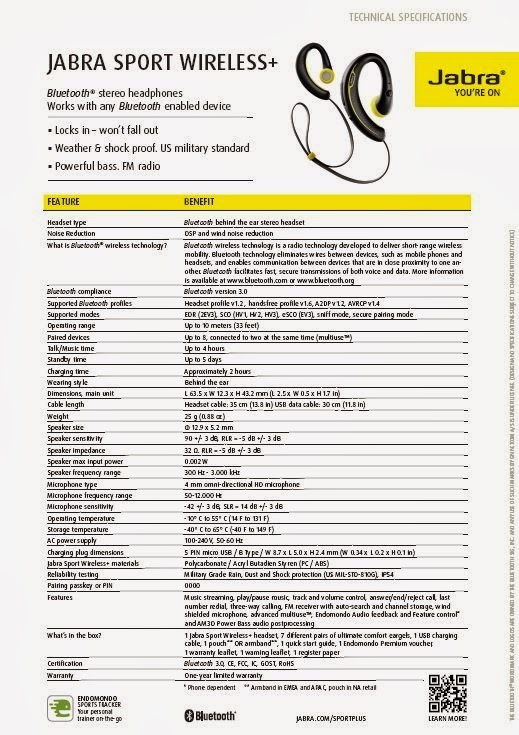 The Jabra Sports Wireless+ is build for sports. The features per photo below strengthen the product and placed it as good potential of replacement for the traditional wired-sports earphone. One of the biggest plus is actually the "Weather Proof" Feature that would allow you to run in the rain. This also meant sweat is really "no sweat" for this earphone. This is how it looked like fitted into my ears. The Fit-clip holds the extra cable securely behind the neck, allowing for a customised fitting and reducing any bouncing when running. The unit comes with a very easy to understand and use manual. Pairing up the Jabra with a smart devices with Bluetooth connectivity was easy. There are guided voices when you pair it up and unless you do not understand English or the device you are pairing has NO Bluetooth, it's straight forward. As you can see, it takes no more than a minute (time stamp 21:10 on both photos above). So much has changed since I last pair up (or attempted to pair) a Bluetooth headset. As claimed, the unit works as a handsfree. Though I would personally NOT use this feature when I am driving. Distraction of any type slows your reaction. I will perhaps reserves this when I am at home and need to be on the phone - like taking direction from Wifey on how to plait my daughter's hair. As there is no songs in my iPhone, i resorted to check my Youtube for video playback and check to see if the sound quality is as good as it claimed. Happy to report that it works well too. The Jabra produces acceptable sound quality that is audible but not audiophile quality. It claimed to have strong bass, which I beg to differ when I tuned into Youtube Hip-hop tunes (in HD). As the unit is clip-on to the ear, there are bound to have some leakage and intrusion that will not isolate the surrounding sound against the music being played. One of the ear-gel supplied tried to emulate the in-ear earphone. This saved the music bass a little but it doesn't provide the oomph it much needed (using the same song). However, I " "disclaimer" this as since reviewing the JVC FXT90 Dual Drive that produces super clear voices and deep thumping bass, my benchmark has been raised. I've found my perfect fitting It is the right most on the top row. It emulate in-ear listening while the horn-like structure (soft) locks onto some parts of your ear for virtually no movement when you move. Key point here is to find the perfect fit and stay with it. 1. 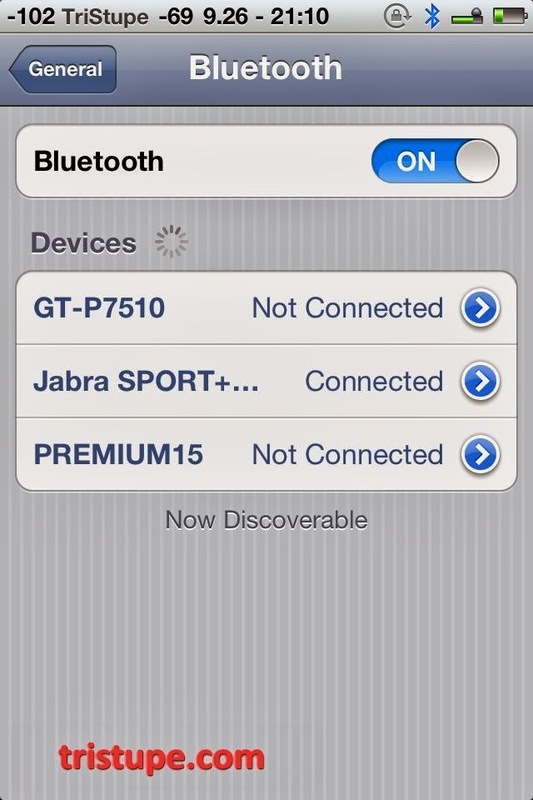 I set the Jabra to be switched on (Standby - no pairing) and it lasted close to 4-days before dying off. 2. 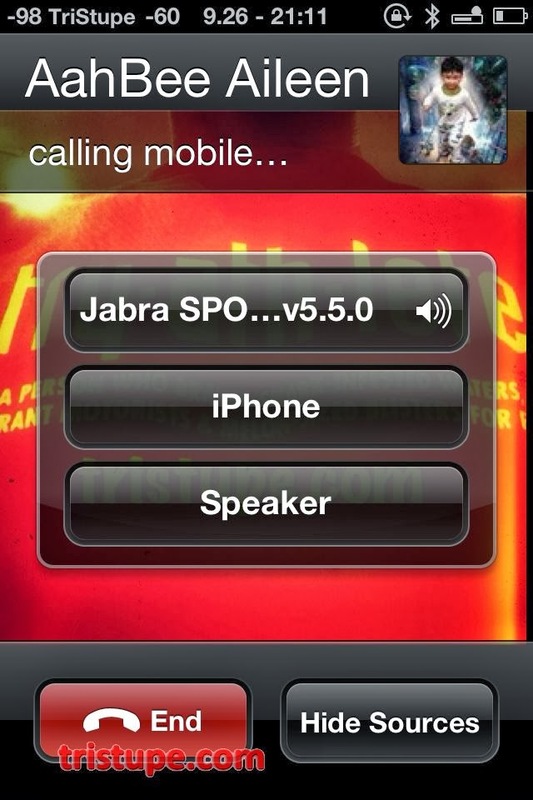 I paired the Jabra with my iPhone and left it on. Obviously my iPhone needed more charging despite being used normally. I did not follow through to see if Jabra would last as long as it claimed paired as It became inconvenient for me to keep charging my iPhone. Perhaps other phone has better battery holding power using Bluetooth. 3. FM radio reception is not very good. I used it under open condition (aka clear sky outdoor) and I could only pick up two channel - a Bahasa Malaysia Channel (religious channel) and Light FM, which were also sketchy. Minimal luck with indoor reception and i managed to get a decent reception in office perhaps due to the higher location (on top of Bangsar and in an elevated ground about 150m above sea level). I compared this to my iPod where the FM reception rely on the wired-headphone and it worked wonderfully well. So, if you are buying this for FM radio - you may want to reconsider, or ask to try this in the shop. Battery life with FM on did not last 4hours. 4. I have problem getting the Jabra to play music on my PC initially. It should be be a setting issue where I need to designate (power on and off) and select the Jabra to be used as Audio headset. Tried it a few times and it still failed to pair with my laptop. After trying it three times. I stopped and more or less accept that this unit is meant for mobile devices. 5. Fitting was snug. It doesn't roll off despite drenched in sweat. I washed/rinsed it after every run (3 clocked with this) and it still hold up/performed as it should. 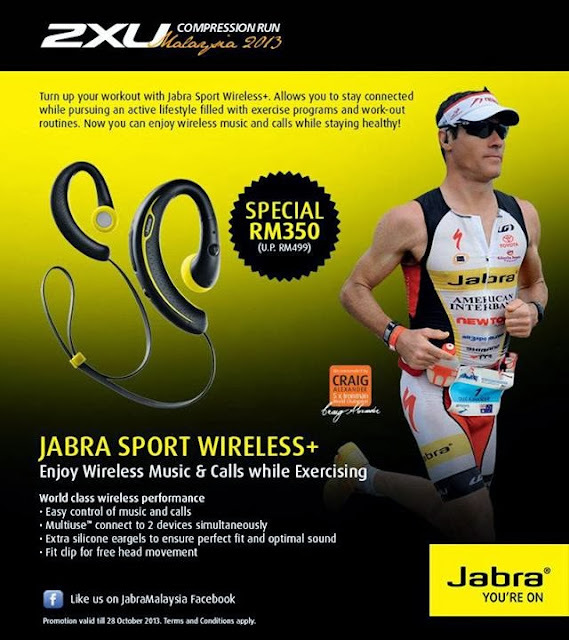 Kuala Lumpur, 23 September 2013 – Jabra today announces the Jabra Sport Wireless+, the newest version of the highly successful Jabra Sport, geared for performance-oriented sports users who want to stay connected to music and calls with total freedom of movement. Move to the beat with the Jabra Sport Wireless+, the ideal headset and training companion designed for even the most extreme workouts. Athletes and sports enthusiasts can count on stress-free exercise sessions – no wires that get in the way, no chance of earphones or headset falling off, and most importantly, outstanding sound quality with AM3D Power Bass audio post-processing to power every workout. With the built-in FM radio that stores stations and easy to use controls, users enjoy a wider variety of music options to accompany every workout. A single charge provides up to 4.5 hours of music listening or talk time with 5 days standby time. Certified Military Grade IP54 for rain, dust and shock protection, Jabra Sport Wireless+ is available in Malaysia for RRP RM 499 at authorized retailers such as Machines, Connect Store, Challenger and Radioshack. Embrace exercise without the hassle of wires and no fear of earphones falling out, the Jabra Sport Wireless+ is designed to lock in securely and comfortably. Choose from seven eargel design options for ultimate comfort. With a behind-the-ear shape and a highly personalized fit, users can stay focused on their workouts while enjoying optimum sound quality. With the world-class Bluetooth technology and built-in FM radio of the Jabra Sport Wireless+, sports enthusiasts can explore a wider variety of music options, switching and storing stations to customize individual listening experience with easy to use controls. Along with A2DP technology and AM3D Power Bass audio post-processing, this headset amps up every workout, directing sound straight into the ears with noise isolating ear-gels. The result: crisp and outstanding audio. Weather and dust-proofed and shock resistant to military standards, Jabra Sport Wireless+ is made to perform fearlessly under pressure. Unlike any other, this ruggedised headset can withstand being dropped from a height of 1.5 meters, being bent 5000 times, and its neck cable being pulled at with a 3kg force. Enhance and improve performance with each workout with the Endomondo Sports Tracker Application for Smartphones. With simple taps on Jabra Sport Wireless+, users can get easy verbal updates that track speed, distance and lap times. The Endomondo app is compatible with all iPhone®, BlackBerry® and Android™ handsets. Jabra is the brand of GN Netcom, a subsidiary of GN Store Nord A/S (GN) - listed on NASDAQ OMX. Jabra employs approximately 900 people worldwide and in 2012 produced an annual revenue which amounted to DKK 2,355 million. Jabra is a world leader in the development, manufacturing, and marketing of a broad range of hands-free communications solutions. With a reputation for innovation, reliability, and ease of use that goes back more than two decades, Jabra’s consumer and business divisions produce corded and wireless headsets, plus mobile and in-office speakerphones that empower individuals and businesses through increased freedom of movement, comfort, and functionality. Running 2XU run? You can buy this at RM350 instead of RM499.